Mansanpally Digital village comprises of an E-Education Centre, E-Health Centre and E-Panchayat Centre. This Digital village is established by Telangana Fiber Grid Corporation, under its pilot Technology Demonstration Network [TDN] and Hewlett Packard Enterprise (HPE) under its CSR initiative.Jayesh Ranjan, Principal Secretary, ITE & C has successfully launched the Mansanpally Digital village in Maheswarm Mandal today. The event started with the launch of E-health Center wherein Mr. Jayesh Ranjan interacted with Patient and Doctor and enquired about the benefits, facilities and medical equipment available at the center. Electronic Medical records of the patients were shown using cloud technology. E-Education center at Gram Panchayat School, where the teachers explained the NDLM (National Digital Literacy Mission) program benefits reaped through the center. Jayesh Ranjan interacted with the teacher and students and emphasized the importance of digital literacy. Later on, he spoke with Village Level entrepreneur at E – panchayat Center and enquired about various digital services like caste certificate, income certificate, Aadhar that were available to the local villagers. 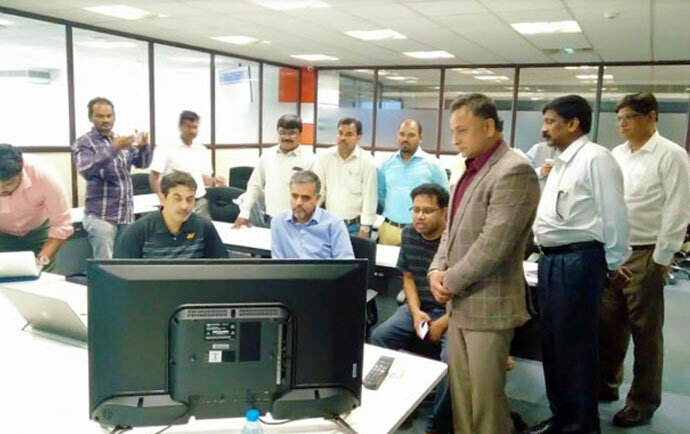 Mr. Sujai Karampuri – MD, T – Fiber Grid Corporation, Mr. Keerti Melkote – President at Aruba and Mr. Sushil Bhatla – Head CSR, HPE were present during the launch.